Roger Darashah – an international senior communications professional with stints in Europe, India and Brazil – has joined Adfactors PR as its Chief Operating Officer (COO). Mr Darashah brings over 23 years of international communications experience to Adfactors PR. Most recently, he worked with Edelman as Executive Vice President - Technology & Global Business Director in Brazil. As Chief Operating Officer, Mr Darashah’s role will be to ensure consistent and industry-leading levels of service across all client relationships. He will be also responsible for delivery of insight-based campaigns that drive results and support clients’ business objectives. In addition, he will support Adfactors PR’s globalisation initiatives – scale operations internationally as well as bring an international, best-practice approach to all aspects of client service in India. Mr Darashah started his illustrious career with Weber Shandwick in London in 1993. His other stints include Managing Director of Hotwire Paris, where he established the boutique agency as among the top three tech agencies in France. In 2008, he moved to Spain to join Edelman as Deputy Managing Director (Europe). 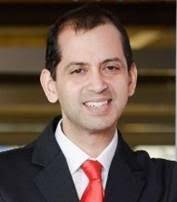 He also served as Director for Rediffusion/Edelman managing the Tata Group mandate in India during 2012-15. Mr Darashah speaks English, French, Spanish and Portuguese, and is able to embed deep, first-hand cultural insights into his client counsel, as well as incorporate PR techniques from around the globe.